Some groups just effortlessly have "it." They know who they are, what their sound is, and oftentimes, they continue to surprise you with what they'll do next. In this particular case, we're referring to the UNC Clef Hangers and their take on Ed Sheeran's "Castle On The Hill." We've been anxiously awaiting for a truly amazing of this song to come along, and the Clef Hangers' version does not disappoint. The band wastes absolutely no time and creating a powerful wall of sound that's heavy on the pop, laced with a hint of nostalgia, and oozing with sentiment. 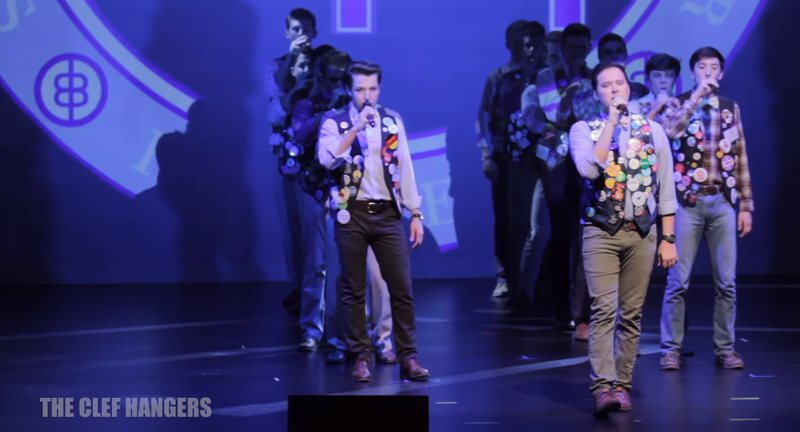 Our favorite moments come when the Clef Hangers showcase their flawless harmonizing abilities with the powerful trio of singers who are front and center during the chorus. Your Friday needs this video...and to the Clef Hangers, we thank you for this wonderful performance.